Google Cloud Natural Language API reveals the structure and meaning of text by offering machine learning models in an easy to use REST API, user can use it to extract information about people, places, events and much more, mentioned in text documents, news articles or blog posts and to understand sentiment about product on social media or parse intent from customer conversations happening in a call center or a messaging app. 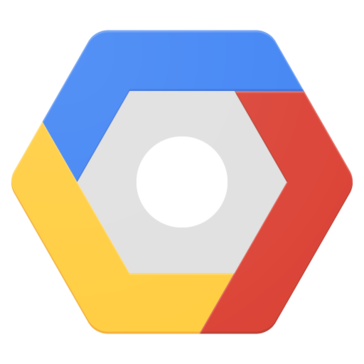 Work for Google Cloud Natural Language? Learning about Cloud Natural Language? I really like the fact how it easy this platform makes the entire process of natural language processing. Google has their own ahead trained model which we can access to implement NLP across our applications. This idea is just awesome. I really like their simple REST API based access. I think this can be misused to invasively extract information from any data in bulk, but that's not the drawback of the api its the user's fault. Anything can be used in right or a wrong way! If you have used google assistant in your home devices or phone then you already know, how good google is at Natural Language Processing. Trust me its equally good and can be very useful for extracting context out of user inputs. I am using it to process user's voice-based inputs and then converting it to text and sending it to google NLP engine for information extraction in order to understand the context and user's intent. This is one of the best implementations of Google's amazing NLP capability. This platform gives a direct REST API based interfacing with one of the world's best Natural Language Processing Engine. It is so good at understanding the user contexts, extract our their intent, the objects, and subject out of a statement. Being honest, this is google's seamless integration if we use all google service, but the integration might be an issue when Amazon's services are used. Certainly that works too but not that seamlessly. Make sure before using it that which framework and other things you wanna work with or not. If Google's platform and services are to be used then only go for it. I am using this Cloud NLP engine to convert the tweets or spoken language patterns firstly into text via speech to text and then trying to analyze it using Google's NLP response. "Google Cloud Natural Language APIs"
Google Cloud had a wide array of APIs available for use. They're very flexible, and their prices are very competitive- you only pay for what you need. It is also very easy to start using their products. Their documentation is detailed, and included code samples for multiple languages. Google Cloud Natural Language works best in English. It doesn't have the best support for other languages. Additionally, it can be tripped up by sarcasm or text speak, though it is improving. If you already use other Google Cloud products, it will not be difficult to start using Google Cloud Natural Language. The documentation is very detailed, and Google provided considerable support. Google also provides a lot of support if you are switching from another product. Google Cloud Natural Language allows us to analyze large amounts of reviews to see how people feel about certain things, as opposed to having someone manually comb through everything. It also lets us see what people talk about more to see what people care about more and what people don't care about. "Useful for intepreting client data"
You have to highlight or input the sentences you want to examine it doesn't necessarily pick them up from an article. For analytical research I am able to target a specific demographic for our product. I can see who and what it benefits or draws attention to. This takes a lot of the additional research that you would use without this product out of the equation making it quick and beneficial. "Still a bit difficult, but solid experience for practical usage"
Analysis of written reports for clients. I can structure the analysis of non structured data in a very consistent way and with enough flexibility to explain things to my clients. "Very accurate text analysis and insightful data"
Integrates with Google documents. The relationship graphs are great, but you have to have a lot of data to really benefit from them. Allows you to categorize documents. Great for insight into what content is being published. Difficult to teach to new users. Also, really requires a lot of data to get the full benefit. Great for those in the fields of data science and/or communications. Text analysis via machine learning models. It analyzes text from articles and blog posts for information about people/contacts, events, and locations. Also analyzes social media posts. It worked as advertised. Had to have a young intern help me a little bit I’m middle aged. !Overall I would recommend it. It would be a little hard for older people to get the hang of. Also people with motor limitation might have problems with the software. "google cloud pros and cons "
I thought that the entity detection and sentiment analysis far out-performed the other Natural Language providers. I don't like how it functions as a black box; it would be nice to be able to get some insight as to how sentiment or salience scores are arrived at. I am trying to make a conversational AI. Google Cloud Natural Language gives a great starting point for what's currently state-of-the-art. "Awesome pre-build API to relief developers"
If On AWS for other tools, hard to get integrated quickly. "Good program- could use some work"
Learning about Google Cloud Natural Language? * We monitor all Google Cloud Natural Language reviews to prevent fraudulent reviews and keep review quality high. We do not post reviews by company employees or direct competitors. Validated reviews require the user to submit a screenshot of the product containing their user ID, in order to verify a user is an actual user of the product. Hi there! Are you looking to implement a solution like Cloud Natural Language?